Ghillie's Cottage is a Five Star luxury self catering cottage set amid the rolling hills of Nithsdale. Ghillie's has been recently restored and converted to provide light, spacious, extremely comfortable accommodation. At Ghillie's you can enjoy beautiful unspoiled views, your own extensive enclosed garden, and natural woodland on your doorstep. 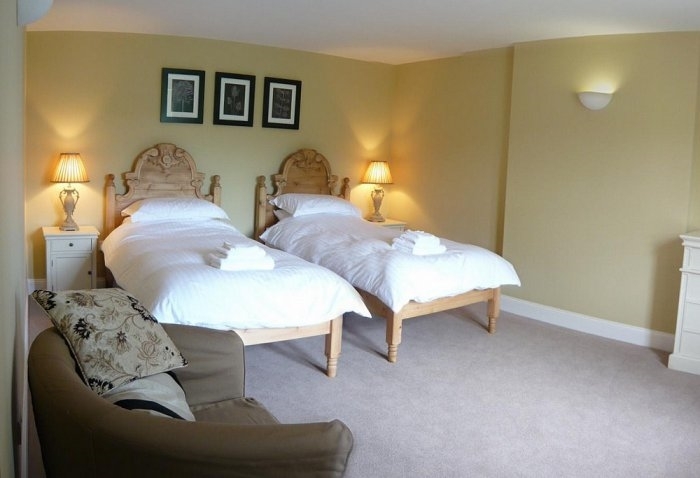 We can comfortably sleep 6 people, with the option of 2 additional pull down beds if required. Come and enjoy the natural beauty of this lovely area in total comfort. Ghillie's Cottage lies just five miles from the charming villages of Thornhill and Moniaive, where you can find good quality local produce to take home, or enjoy eating in one of the several cafe's, restaurants and bars. Further afield lie Carlisle (60 miles), Edinburgh(70 miles) and Glasgow (65 miles). The cottage enjoys an idyllic, South facing position with it's own large garden, and lies within our own farmland with the farmhouse being half a mile away. We would like guests to feel free to walk over the farmland without restriction (pets being kept on a lead near any livestock). Farm tours can also be arranged. We also provide guests with a welcome hamper and menu of locally made organic meals, allowing you to order delicious meals which will be delivered to your door. Inside we have a cosy sitting room with comfortable seating for six people, and log-effect gas stove for instant heat. T.V, D.V.D player, C.D player, DAB radio, docking system and Wi-Fi. 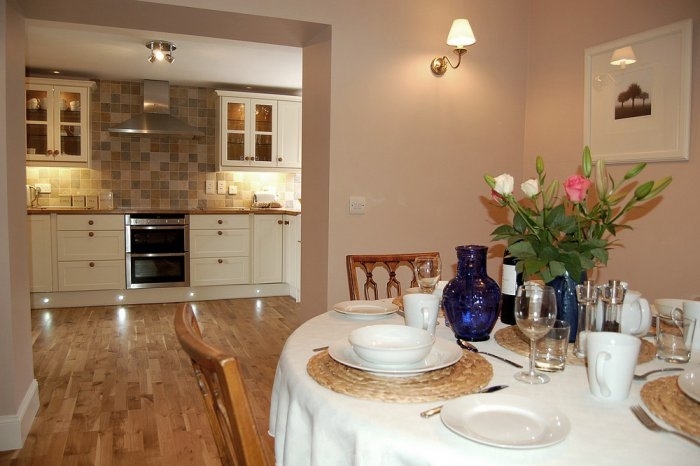 There is a well equipped kitchen with new oven, hobs, full size fridge-freezer and dishwasher. The utility room has a sink, washing machine and tumble drier. There is also a downstairs shower room, dining area for up to 8 people and a high chair on request. 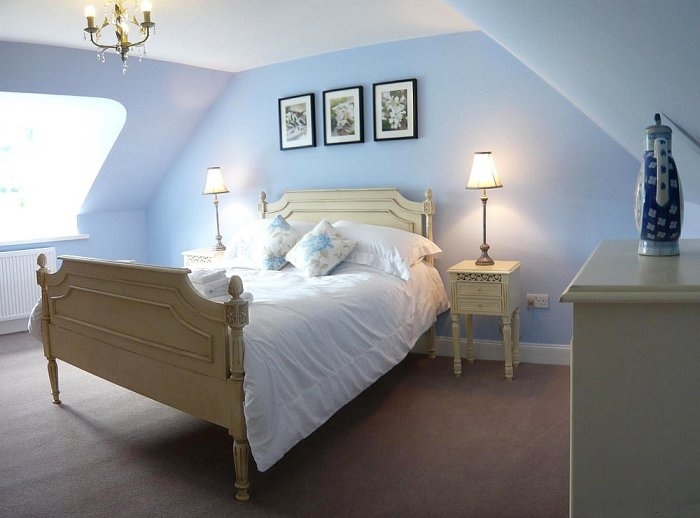 There is a large twin bedroom (downstairs), large double bedroom and two single bedrooms. Two fold out beds for additional use if required. Outside you will find a large secure garden with woodland behind. Wonderful unspoiled views. A large patio area with outdoor furniture, brick built barbeque (charcoal provided). Secure outhouse with outdoor tap. Ideal for cyclists etc.